About a million pilgrims turned out in Rome for the beatification of Pope John Paul II, many waving Polish flags and holding images of the late pontiff, who was archbishop of Krakow in Poland before being elected pope. Click through the gallery above to see more scenes from the Vatican. 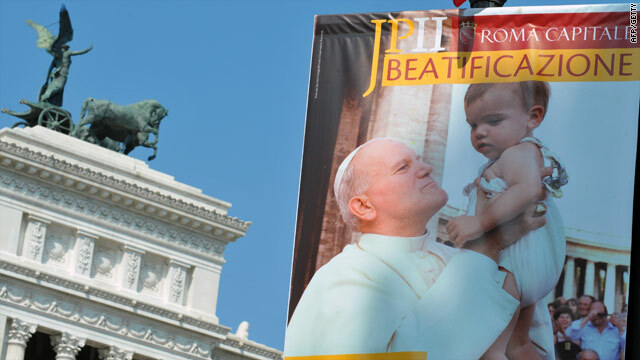 A placard showing the late Pope John Paul II holding a baby is displayed on a lamp post in Rome for the beatification. Did you encounter Pope John Paul II? Pope John Paul II is said to have been seen in person by more people than any other figure on Earth. He was pope from his election in 1978 to his death in 2005 and traveled to all corners of the globe to meet people where they lived. 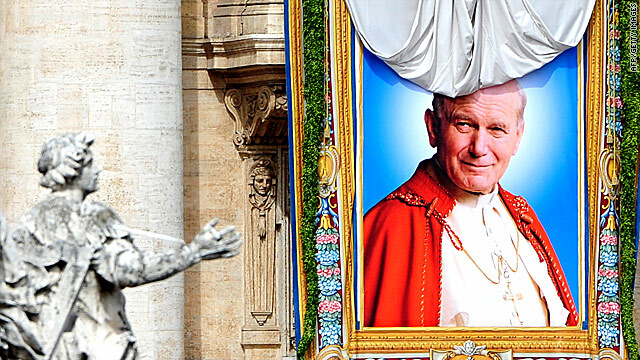 John Paul II will be beatified in Rome on Sunday, the last step before sainthood. Did you ever see John Paul II in Rome or did he come to your hometown? What was it like to meet the pope? Share your comments with us below. 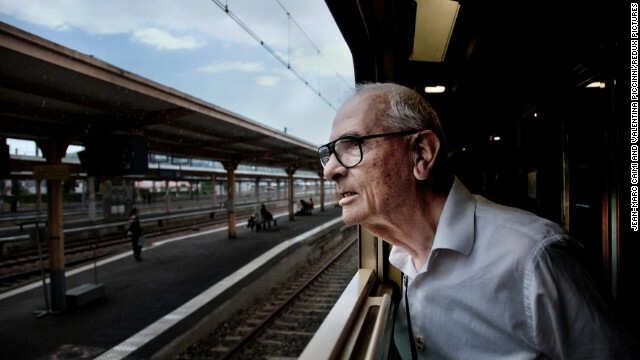 And you can also share photos and videos through CNN's iReport. Your stories and images could be included in the beatification coverage on CNN’s Belief Blog. (CNN) - Blood taken from the late Pope John Paul II will be used Sunday as the Vatican declares him "blessed," the last step before sainthood, the Catholic Church announced. 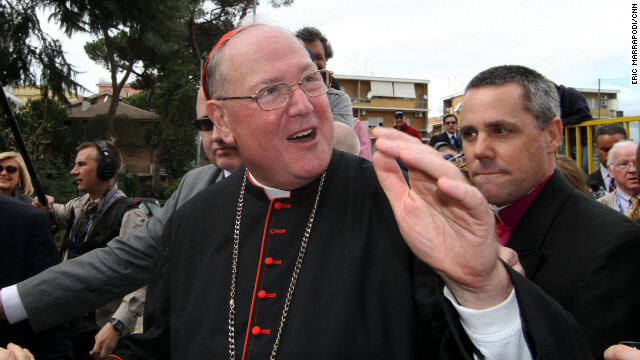 The blood will be on display as a relic for Catholic faithful to venerate at the beatification ceremony, the Vatican said this week. Special relic holders have been made for two small glass bottles of John Paul's blood, the church said. Pope Benedict XVI will preside Sunday over the beatification at St. Peter's, an event expected to draw hundreds of thousands of Catholic faithful to Rome.